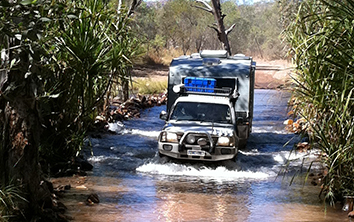 New Goulburn owners Frank and Lee took some time out to give us a review of how the van handled the famous Gibb River Road on their virgin journey. I thought I would relay my observations on our Elite Goulburn Off Road. 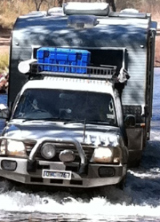 We picked it up on the 1st of June and a week later we were off to The Kimberley for 5 weeks. Our trip took us straight up the Stuart Hwy to Katherine, across to Kunnunura and then onto the Gibb River Road through the heart of the Kimberley. 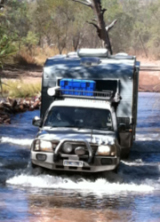 We traveled into El Questro, then to Home Valley and onto Mount Barnett. Anyone who's been on the Gibb River Road knows how bad and long the corrugations are. The Goulburn handled it with ease. There were also at least half a dozen river crossings that were also a breeze. The van was truly rock solid. The Cruisemaster suspension is brilliant, taking all the corrugations in its stride. It really gives you peace of mind knowing that after travelling for 800kms on some of the worst corrugations in Australia you can open your caravan door and find everything still intact and everything still turning off and on. On top of all this we then travelled up the Cape Leveque Road to Middle Lagoon. There were parts on this road that were bone-jarring. Again the Goulburn handled it with no problems. Having our own bathroom ensuite was a real treat. Some of the roadside campsite drop toilets were terrible, or non-existent, so having our own facilities was great. We also chose an outside BBQ on our model. In one word, BRILLIANT. Not just for barbecuing but we cooked roast pork and lamb with all the vegies in it. It was ace - just like home. We had two LPG gas tanks, two water tanks and solar on the roof, so it didn't matter if we were on powered sites or not we were very well prepared and could have stayed virtually anywhere for weeks on end. If you would like any more information on how the van performed on our trip please feel free to send me an email. One last point, the service we received from Elite Caravans was very professional. Any issues or questions we had were handled very promptly and thoroughly. 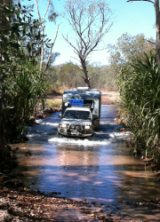 Just another brilliant off road adventure undertaken by Elite customers. Many people dream for a long while about undertaking such a trip and with an Elite caravan, you can take that experience to the next level. 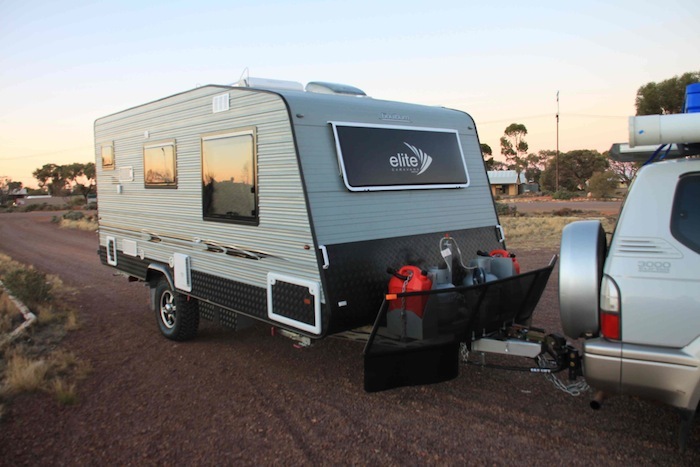 If you're interested in a similar model, or a customised version of this off road caravan, please speak with one of our specialists.